Both the Large Boardroom and Small Meeting Room are available to Members only. We can also make available the following equipment: Flip Chart, Panaboard (electronic whiteboard) and Podium. The small meeting room is complimentary to Members only and is booked on a first come, first serve basis. Visitor Centre After Hours Rental. Transforms into 2,000 sq. ft. of open space. Available for Members Only. 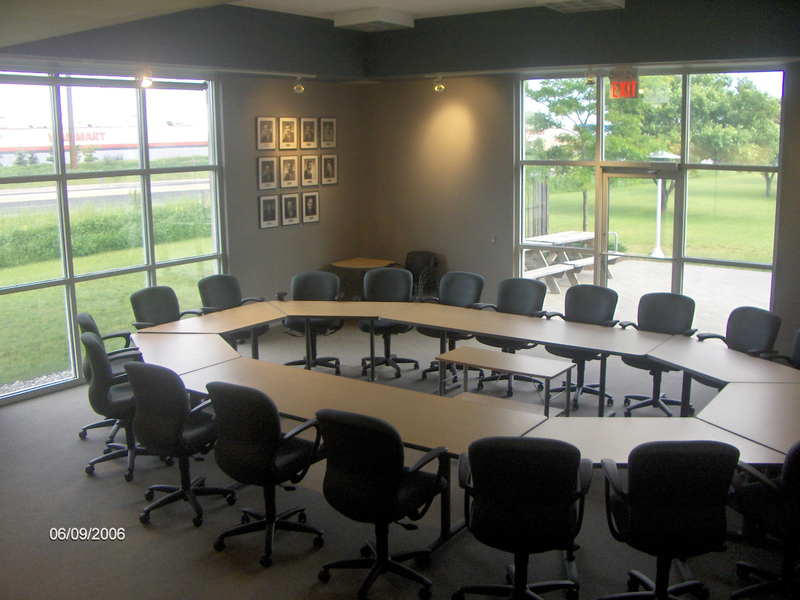 Boardroom Rentals are available only during the hours, 9:00am – 4:30pm for meetings (no parties please due to noise). Please fill in the Boardroom Request Form if you are Interested in booking one of our rooms. For more information please contact Gabriela at the Chamber office (519) 622-2221 Ext 2221. From our front entrance, where you will find brochures on things to do in Cambridge and information on member businesses to our boardroom where our learning sessions take place.